Then A New Language for Life reminds me that she is not upsetting me; I’m upsetting myself. People or things don’t cause or have the power to upset me, but I do. 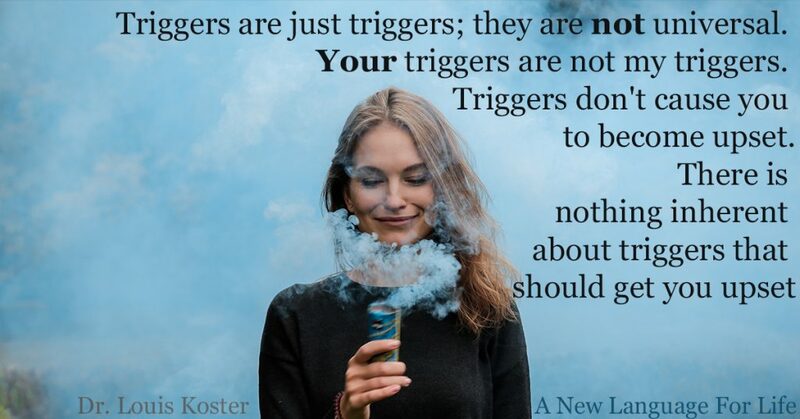 In our birth language, we think that people and things cause us to be upset, but in living A New language for Life, you realize that isn’t the case. You are responsible for how you experience life, including your upsets and hurts. 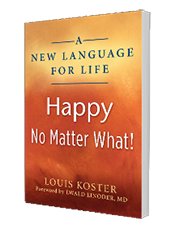 Hi, Louis here, author of the inspiring book “A New Language for Life, Happy No Matter What!” Click here to get a free download of the book. Thanks for checking out my blog posts. If you really want to test your spiritual beliefs, try being a medical doctor in war zones. I’ve been involved as a spiritual teacher, medical doctor and coach in the self-help industry for over 20 years and have developed a number of skills in helping people to awaken to their true nature and live inspired lives. Here Is Who I Am & What I Believe. Find out how you can be happy and free to dream in 21 days. Please feel to free to leave a comment below. What a beautiful thought you shared !!! Yes, life situations can cut us to core but how we take that experience is wholly up to us!!! This my new self of understanding, sometimes we deliberately hurt or unknowingly hurt others or self, it come with ego issues , childhood hurts, feeling negative about others and self!! Everyone wants to be so spontaneous in response no matter what !! Thank you for your wisdom ! !